Zikaron BaSalon offers a new, engaging and intimate way to commemorate this day and its significance, through discussions at home among family, friends, and guests. Alongside formal Holocaust ceremonies, this unique and authentic tradition invites people to gather and together express, discuss, and most importantly, listen. Join us to listen to Kati Preston's story. 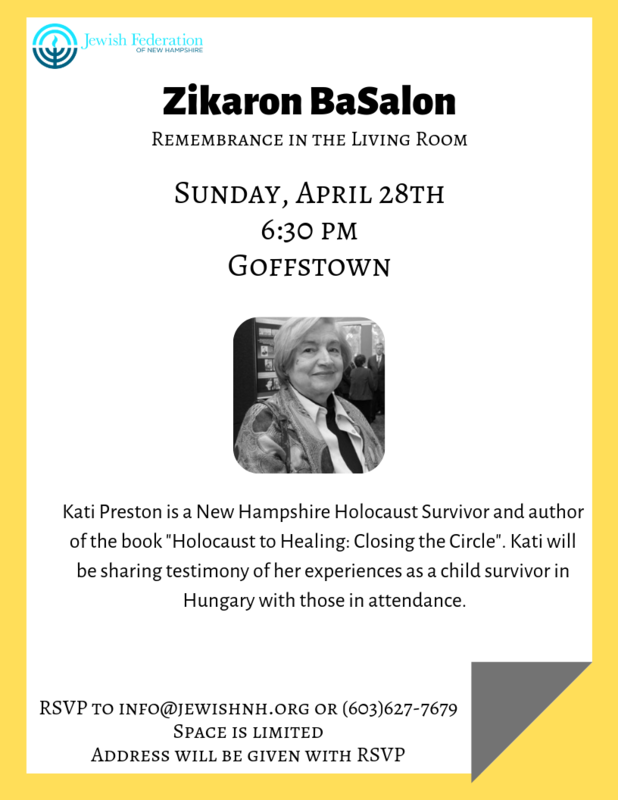 Kati Preston is a New Hampshire Holocaust Survivor and author of the book "Holocaust to Healing: Closing the Circle". Kati will be sharing a testimony of her experiences as a child survivor in Hungary with those in attendance.